Poland is a top destination for travelers looking to enjoy the great outdoors while exploring central Europe. Seasonally warm temperatures and pleasant weather make May through September ideal for discovering all Poland has to offer. The country’s stunning lakes, beautiful seaside, and winding rivers provide the backdrop for a fun-filled escape certain to invigorate outdoor enthusiasts and adventure-seekers alike. Bug River. Credit: Podlaska ROT. Whether you enjoy kayaking, canoeing, rafting, or a little bit of everything, the waters of Poland, including a vast network of interconnected lakes, will not disappoint. Perhaps you’re looking for a leisurely row to enjoy the inviting scenery of Poland’s open waters, or maybe you crave a more challenging raft trip through rough waters. Either way, you can find an experience matched to your personal preference and skill. When talking about any form of boating excursion in Poland, the first region that comes to mind lays in the northeastern part of the country. One of the most notable locations is the 63-mile-long Augustow Canal, a technological wonder and engineering marvel at the time of its construction in the 19th century. 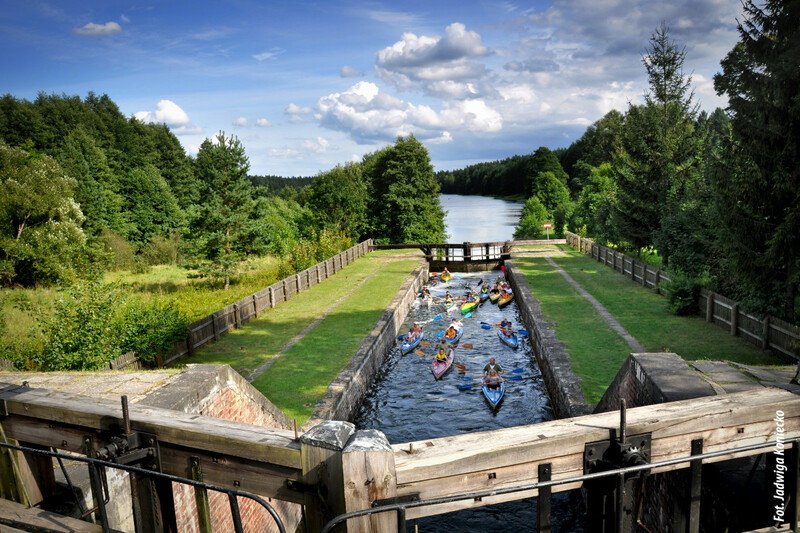 One of the most precious historical sites in Poland, today the Augustow Canal, which has been proposed for inclusion on the UNESCO World Heritage List, offers countless opportunities for recreation. Augustow Canal. Credit: J. Koniecko/Podlaska ROT. One of the most popular spots for water-related tourism is the Masurian Lake District. Often referred to as the ‘land of the thousand lakes’, this inherently spectacular corner of Poland contains an extensive selection of water related leisure. With reasonably calm waters and stunning scenery, many of these lakes serve as natural refuges for an impressive variety of local fauna. Bird watching, swimming, and fishing are just a few of the activities that can be incorporated into a sailing or kayaking trip. Guided tours are a popular way to navigate through the myriad of possible waterways in the area. Arrangements can be made for individuals as well as groups. Excursions can range from a few hours to several days. Craft rentals, food, and lodging can be found along many routes so that solitary boaters can also explore on their own. Great Masurian Lakes. Credit: M. Achtel/W-M ROT. Popular nautical trails include the Kruytnia River and the Great Masurian Lake Route. 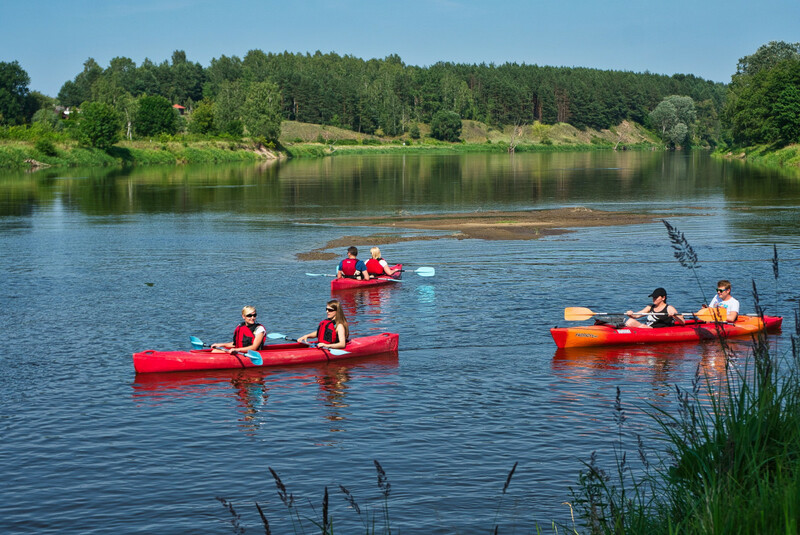 Renowned for its gentle waters and breathtaking views, the Krutynia River makes an excellent excursion; kayak or canoe a section, or explore the entire river on a 62-mile expeditions that takes about eight days, and winds through lakes, thickets, and hills. This popular route offers plenty of overnight accommodations and dining opportunities at stop-off points and river camps. 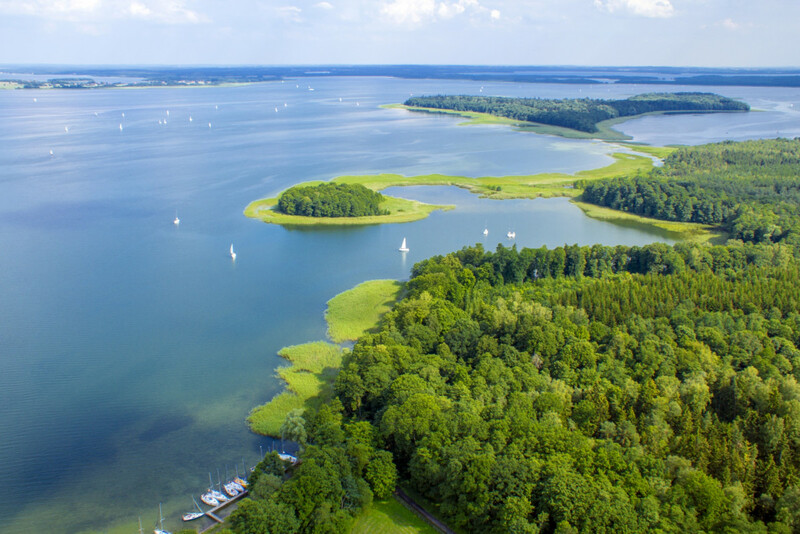 Another prime destination for kayakers and yachters in the area is the Great Masurian Lakes Route: a journey through memorable scenery is that perfectly suited to novices and advanced boaters alike. As much as majestic lakes and rivers of northeastern Poland are great places to visit, they are not the only places to enjoy quality time on the water. 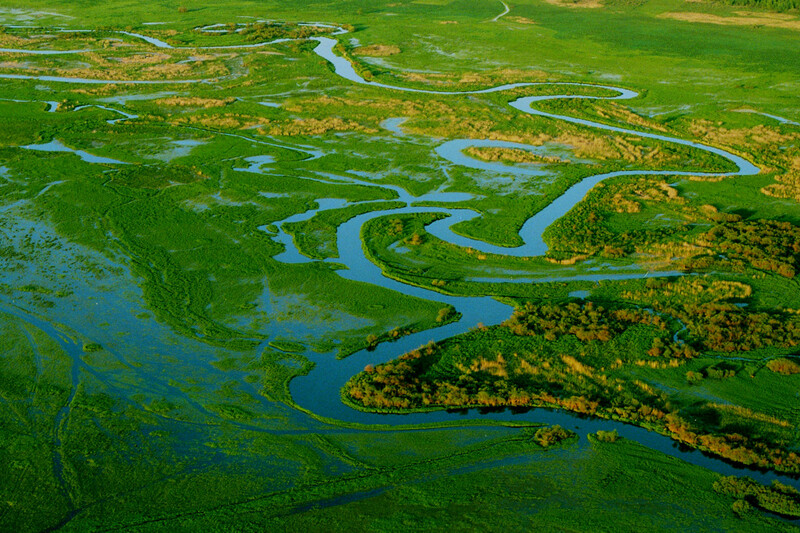 Rowing down the Biebrza River is ideal for those hoping for a glimpse of local wildlife. It is spectacular for bird watching and spotting animals like beavers and elk. Biebrza River. Credit: Podlaska ROT. The spectacular mountain rivers of southern Poland and the Tatra Mountains or the Vistula, the queen of Polish rivers, also present a different and unique experience. 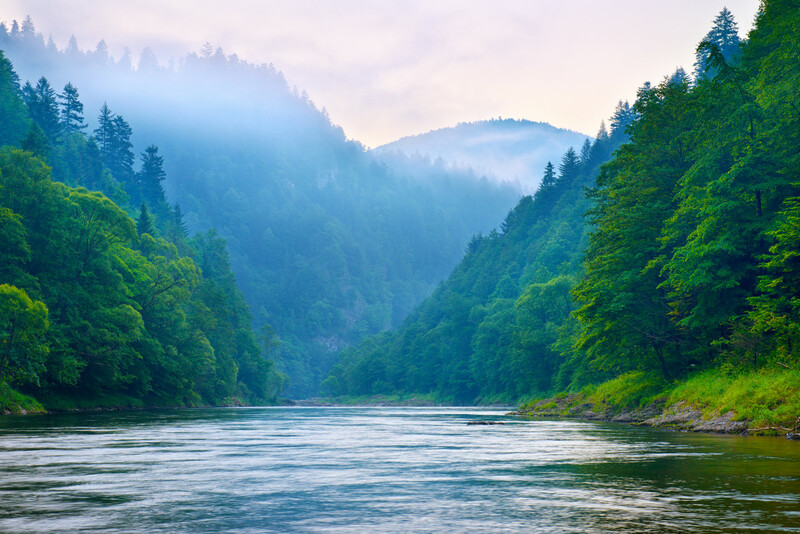 The Dunajec, the mountainous region of Malopolska, is a more challenging river, with granite rocks, currents that can be quite strong, and drops up to 130 feet. All these qualities make it a great place for whitewater rafting, especially since routes of varying difficulty levels are available. Another river for more experienced rafters and kayakers is the Bialka, which rewards adventurers with its pristine, crystal clear waters. For a slightly calmer rafting expedition, joining local highlanders on an exploration down the winding riverbed of the Dunajec River Gorge remains an enticing option. The longest Polish river, the Vistula provided an important internal trade route from the Beskid Mountains to the Baltic Sea. Along the way, she flows through some of the most prominent Polish cities. In both Warsaw and Krakow, the embankments along the riverfront are focal points for stimulating cultural events, family outings, and lively nightlife. The Vistula also flows through Torun, a city of Gothic style, exceptional gingerbread, and home of Nicolaus Copernicus. The river ends its run in the north, near Gdansk, flowing into the Baltic Sea. Although mostly navigable, the Vistula remains an extremely demanding and challenging route. With close to 275 miles of coastline, Poland’s Baltic Coast attracts a considerable number of wind and kite surfers each season. The Hel Peninsula is considered the windsurfing and kitesurfing capital of the country. Its moderate winds and sunny weather draw fans of the sport from across the world. The shallow and safe waters of the Bay of Puck create a great place for newcomers hoping to learn and practice the sport. 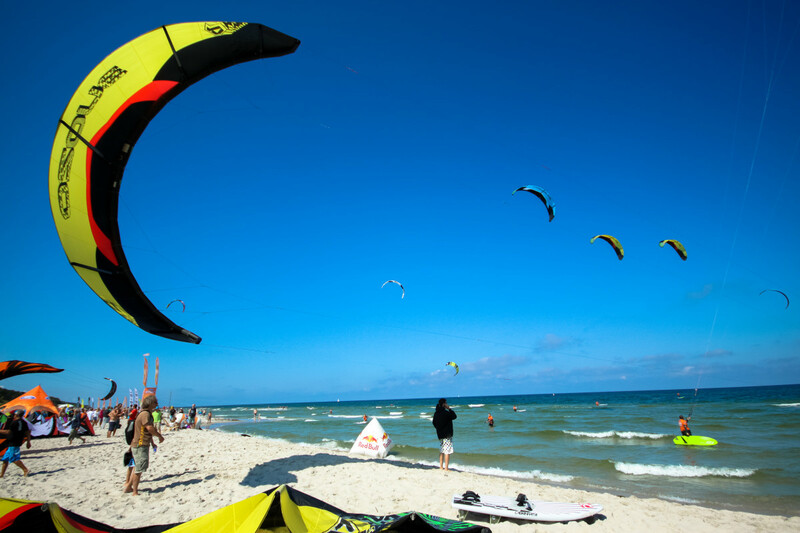 In Poland, some areas are designated as “Kite Zones” where kite surfers can enjoy their pastime without worrying about getting in the way of windsurfers and beachgoers. Baltic Coast. Credit: POT photo/AMCieszewscy. Sailing along the Baltic coast is an incredible experience that many visitors to Poland rate near the top of their list of memorable activities. This Polish Riviera is lined with clean, sandy beaches and historic lighthouses. The Bay of Gdansk and Bay of Puck’s port towns are rife with shops, restaurants, marinas, and charter companies. 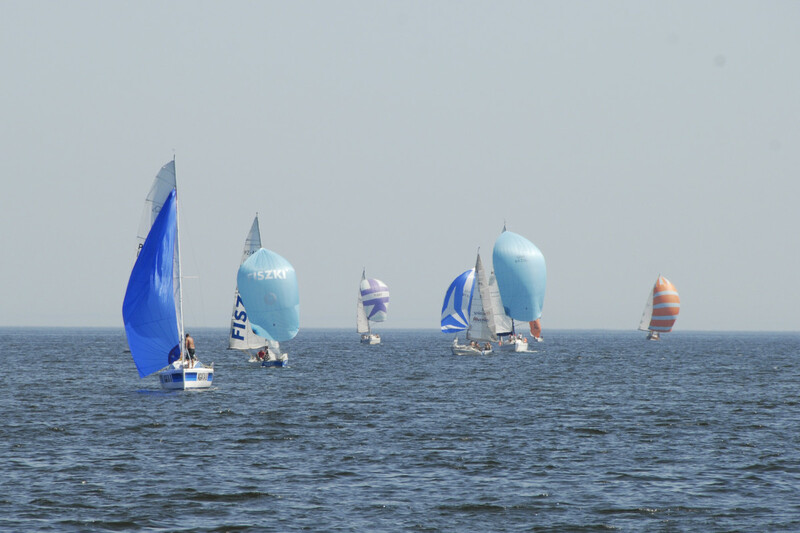 It’s a lot of fun to check out the regattas and sailing competitions that frequently take place here in the summer and attract an international crowd. Whether devoting an entire stay to water-related adventure or just incorporating it into a bigger sightseeing tour of the country, Poland has all the essential locations, relevant infrastructure and welcoming locals that make it a great place to enjoy an active and inspiring vacation.